K-Train Indica: K-Train is a mostly indica strain that was developed by Greenhouse Seeds as a cross between OG Kush and Trainwreck. These parents are both popular in their own right and were chosen to try and combine their prized effects: the muscle-relaxant qualities of OG Kush with the lucid mental buzz that Trainwreck induces. Once you get on the K-Train, be prepared to sit back and relax with something creative for a while. Thanks to its potency, it’s a popular medical choice to treat depression, stress disorders, and pain for patients who want to relax without total sedation. Still a strong indica, the K-Train hits you hard and fast and may prove to be an intense ride for some. These plants are easy to grow and should flower in 9 weeks with the oversized buds that are characteristic of its Trainwreck lineage. K-Train’s Kush genetics dominate the aroma, making it sweet and earthy with a hint of black licorice. 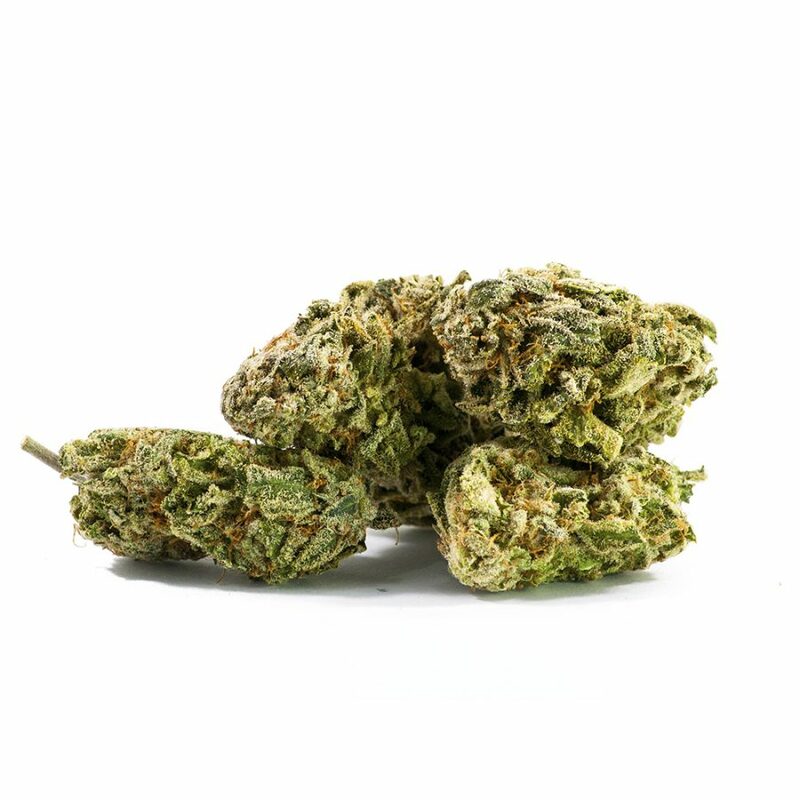 2 reviews for "K-Train – Indica"
Good for a relaxing night on the couch.